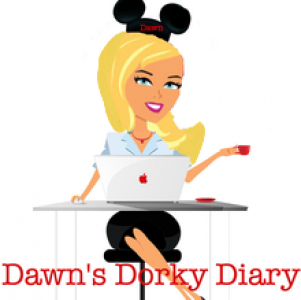 Disney Discounts – Travel, Family & Fun rolled into one! based on availability. This sale ends Dec. 31, 2013, so book today! December 14, just in time for the holiday season. specially discounted rooms at the Walt Disney World Resort most nights from Sep.
29, 2013 through Sep.27, 2014. Plan. You can add additional nights and days at the parks, for an extra cost. Jan. 5-Feb. 12, 2014. Hurry, this discount ends on December 31, 2013.
through Apr. 10, 2014. Book through Jan. 28, 2014.
are for a 3 night stay at a Disney Value resort plus a 3 night Disney Cruise. spa treatments, shopping, adults-only dining and more! offer by Jan. 15, 2014, for stays most nights Jan. 5 – Apr. 7, 2014.
three Universal Orlando® Resort on site hotels during the best days to vacation. 1950’s and 60’s for endless family fun at Universal’s Cabana Bay Beach Resort. Oct. 2, 2014 and Nov. 30, 2014 through Dec. 11, 2014.
including Be Our Guest Destinations. for 1 visit to SeaWorld Orlando on weekdays only. Ticket expires Dec. 20, 2013. Dining for FREE. Add a day at Aquatica and eat there free, too! 3-9) with each full-paid adult admission ticket. better, your 2nd day at SeaWorld is free! 5 Incredible Parks, 1 Ticket, Orlando’s Best Vacation Value: See more for less! Previous Post You know your Redneck WHEN!